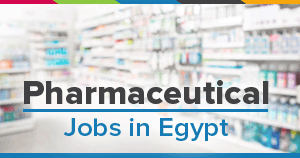 Johnson & Johnson Middle East is recruiting for a National Sales Manager - Vision Surgical to be located in Cairo. Be responsible for managing the Cataract, and Dry Eye franchise for Johnson and Johnson Vision Surgical in the respective geography. Achieve and maintain goals while advancing all related goals and initiatives of J&J Vision Surgical. Advance innovative ways of approaching the business and share those ideas with Peers/ JJVS Leadership. Consistently attain market share in a balanced fashion across Capital and Consumables to include: Phaco, IOL’s and dry eye products. Increase company’s involvement and Develop activity plans for existing clients and run special projects with key accounts or other external cooperation partners to maximize sales and profit. Performance-Manage individuals across the team ensuring optimal sales output, team performance, team synergy, and individual development. Maintain a thorough knowledge of cataract surgery and portfolio of cataract products as well as dry eye products.